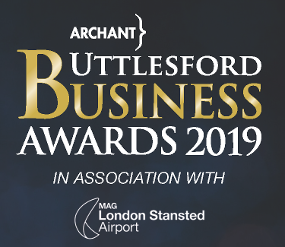 Entries are now open for the Uttlesford Business Awards 2019. The Uttlesford Business Awards have been established to recognise and celebrate the achievements of individuals and businesses within the district. If you are a local business, these awards are a platform your company to raise your profile within the business community. From young entrepreneurs to large outstanding businesses, the awards are the perfect opportunity for you to share your achievements. It doesn't matter if you are large or small you just have to be located in the Uttlesford District and to have something to tell us about. To find out how to enter just go to the Uttlesford Business Awards site.